Off-Grid living is very popular in this area. 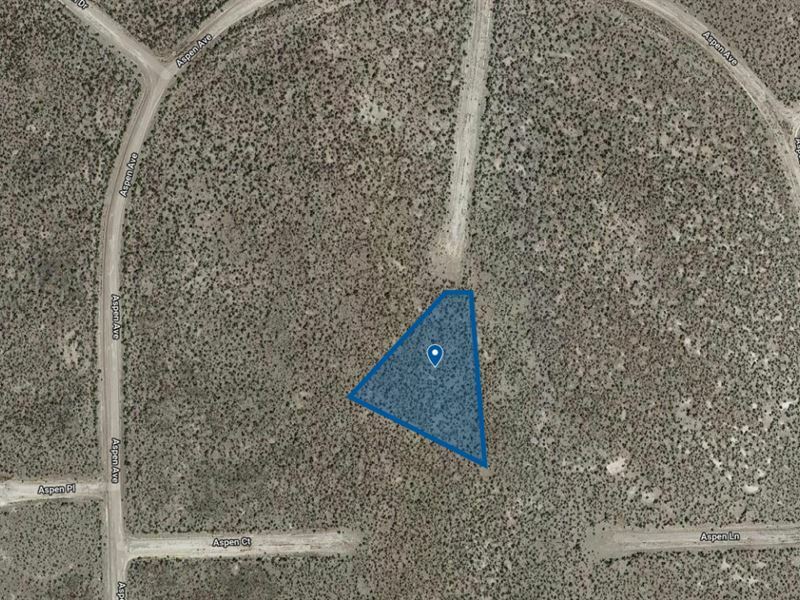 1.3 Acre Land Parcel For You In Alamosa County Description Grab this property now. 1.3 acre lot or 56,628 sq ft would be a great camping site or build your homestead with Mt. Blanca at your back door with a nice views of Mt. Blanca Peak. Property is only a few minutes away from town of Alamosa, close to shopping and dining. Great home building site. The property is about 35 miles east of Alamosa. Enjoy the quiet of country living with the closeness of the Big town and enjoy shopping, dining, local festivities, medical facilities, fire and police services. School bus route, college, and Adams State University. Awesome mountain views any season, any time of day, constantly changing. Easy paced lifestyle great for retirement. This property is close to many outdoor activities like fishing, hunting, hiking and many more. If this lot is not quite right we have others so please call for a list of available lots. Price + Doc Fee We also offer owner financing. Please contact to inquire. Things TO Know This property is surrounded with amazing outdoor activities that you surely will enjoy. First off is Lake Como which is 16 miles from the property where you can enjoy fishing and grilling outdoors. You can also set camp in this beautiful scenery place. Lake Como is beautiful and the western end has lots of campsites and can accommodate a large group. Few places to mentioned are the Mountain Home Reservoir which 23 miles from the property. We got the Smith Reservoir which is 15 miles via Estrella Rd and the Lake Zapata Lake Trail which is 16 miles from the property via Us-160 W. Also we got the famous Great Sand Dunes National Park and Preserve. From hiking to stargazing to discovering ancient cultures, there's endless opportunity to learn and explore this national park. Pro Tip Get yourself a good camera to capture the beauty of this place. There are also some nearby parks that you might want to check out like the Culebra Peak if hiking and climbing is your passion. Property Details Size 1.3 Acres County Alamosa State Colorado Sub Division Deer Valley Meadows Location Aspen Ave, Alamosa, CO Address No Name Road, Alamosa, CO 81101 Access Dirt Road APN15025 GPS Coordinates 37.449805, 87 Zoning Mobile Home/Residential Legal Description Deer Valley Meadows Lot 25 BLK N Unit 1 1.30 AC Elevation 7,543 Title Free & Clear Time To Build None Water Would be by well Terrain Flat Power Contact Xcel Energy Sewer Would be by septic HOA Taxes Nearby Towns From the Property Fort Garland 18 miles, Monte Vista 28 miles, Antonito 39 miles, La Veta 52 miles, Cuchara 63 miles, Alamosa 11 miles and Crestone 58 miles Points Of Interest Lake Como, Crater Lake, Colorado Catch, Ute Creek RV Park, Mountain, Home Reservoir, Long John Silver's Seafoon Chain, Conejos River Anglers, Great Sand Dunes, Culebra Peak, Rio Grande National Forest, Monte Vista National Wildlife Refuge, Smith Reservoir etc. What makes us different We are Drehle-Ewan Bros. Land, a land company that prides itself on delivering an experience like no other in the land investing space. We offer a wide variety of payment options including credit card, PayPal, Venmo, Zelle, money order, check or wire transfer. Every purchase comes with a 60 day money back guarantee, because we stand behind our land offerings. You are doing business with the owners the company, two farm boys that stand on the principles of small town USA not some big corporation based in New York that doesnt care about you and your unique land investing needs. Note This property is only available to the buyer who acts Now. Stop reading and start calling. Why are you still reading this Call Now.